Have you ever heard the song All I Want for Christmas is You by Mariah Carey? It was released back in 1994 so chances are that you've probably heard it by now. I just love that song. Did you know that there is a new animated family film that features three of her songs including this one? I received a product for this post. This post contains affiliate links, and I will receive compensation if you make a purchase after clicking on my links. Not only is this an adorable story that your child will love to watch, but the music is absolutely amazing. I love Mariah Cary's music and I love that this movie has three of her songs. PLUS, the new song Lil Snowman! I also love that Henry Winkler is the voice for Grandpa Bill. He's seriously one of my favorite actors and it's great to see him in something as well. If you're tired of watching the same Christmas movies year after year, you'll want to pick up a copy of this one. Don't forget to buy the book too and enjoy them both. You can also download some fun activities for the kids by clicking the graphic above. Buy it today. One of my lucky readers will win the Blu-ray AND the soundtrack! I would love to win this for my kids! I know my kids and I would enjoy it! Thank you! This would be a great movie to watch on one of our family movie nights this Christmas season. It sounds like a cute story for the whole family, and I love Mariah Carey’s music. I’d like to win this to watch with my daughter. I would like to win this because I donate these types of items to a local Catholic school that is located in a poor town nearby. The children there are underprivileged and whenever I review or win books or children’s items, I donate them to the school. My absolute favorite fun Christmas song!!! I bet it is an adorable dvd I could give away to one of the teen parents that I work with. I love Mariah Carey and our whole family of 6 would love to watch this together. My daughter would love this and we sing MC all day long during Christmas! All I want for Christmas is Mariah Carey! 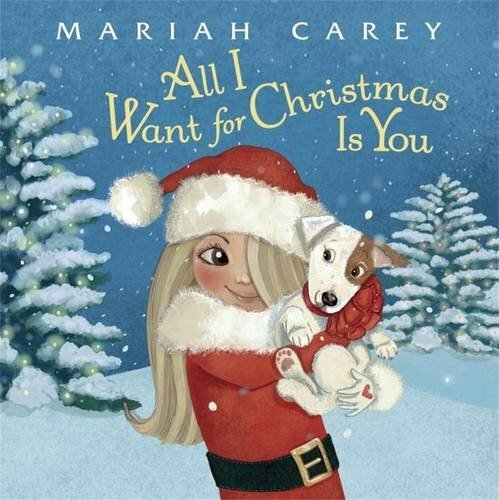 I would love to watch Mariah Carey’s All I Want For Christmas Is You with my granddaughter Remy. My nephew is obsessed with the book so he’d go nuts for the movie! I would like to win this for my wife. I think she would like it. She likes the music on this movie and cd. Thanks for the giveaway. While Christmas is special to countless people, I think this Xmas is extra special because it is our 1st grandchild’s 1st Xmas. He will be 9 mos old Dec 23rd and it’s also special because Dec 25th, is my 50th birthday. 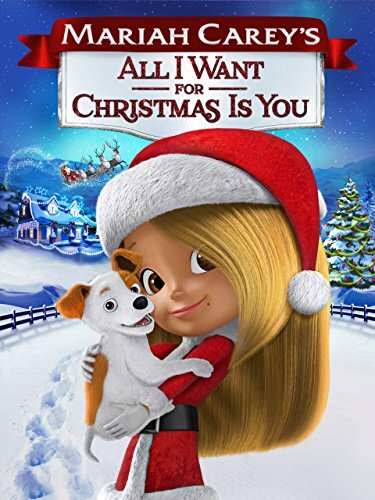 I’ve always loved Mariah Carey’s music and my husband & I both LOVE movies and even go to kids cartoon movies at the theatre just the 2 of us because we like them so much (we giggle at ourselves but like my husband says— we are 50 yr old – 5 yr olds ) haha.. and this would be such a nice thing that we could watch and share with our little grandson. His mom is a fan of beautiful singing voices and is already frustrated about how too many alleged kids’ movies and cartoons are very violent and inappropriate but this one doesn’t sound that way at all, so it would be a joy for all of us. Thanks for the chance. I’ve always been a huge Mariah fan, and I would love to watch this with my kiddos. I’d like to win because I think my nieces would love this! I would love to win because my daughter and my family love christmas. Because my daughter fell in love with the song, then we found this movie and she watched it on Netflix. 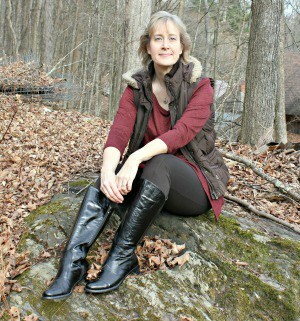 She’s in love with the new music that goes along with it, too, and sees herself as the main character – she, too, has wanted a dog for years. I would like to win because my young three nieces love Mariah Carey and they would be thrilled to get this blu-ray. This would make my daughter’s week! Like to win so we can watch with our kids, we would all enjoy. I always play this album during Christmas. I would like to watch the movie! I would like to win because my grandsons would love the movie. I wouldlike to win so my nieces and I can watch the movie. They would love this! It would be fun to watch with my grandson. I enjoy Mariah Carey’s music and this movie looks adorable. This movie would be awesome for one of our family movie nights this holiday season! This would be the perfect gift for my niece. I’d like to win because it looks like a nice family movie. I love the song and would love to win the DVD to share with my kids! I would love to win as this would be a perfect additon to our Holiday entertainment. I would love to watch this with my granddaughters.